In what was arguably the best season of Tiger Woods’ illustrious career, the 2000 campaign included the most victories on his way to the famous Tiger Slam. That record-breaking run started with a victory in the 2000 U.S. Open at Pebble Beach. The championship of the USGA was celebrating its centennial event, one that saw Jack Nicklaus included for the final time in his illustrious career. With an early starting time, Woods shot a six-under 65 to take a one-stroke lead over Miguel Angel Jimenez. The second round saw Woods nail consistent birdies, including a 30-foot putt for birdie before play was halted. The end of the third round saw him as the only one under par as he enjoyed a 10-stroke lead. A 67 on Sunday gave him a record 15-stroke win and an amazing wire-to-wire victory. Woods physically wrote out the inscription “Wire-to-wire” - UpperDeck the got that inscription embroidered directly onto the pin flag. 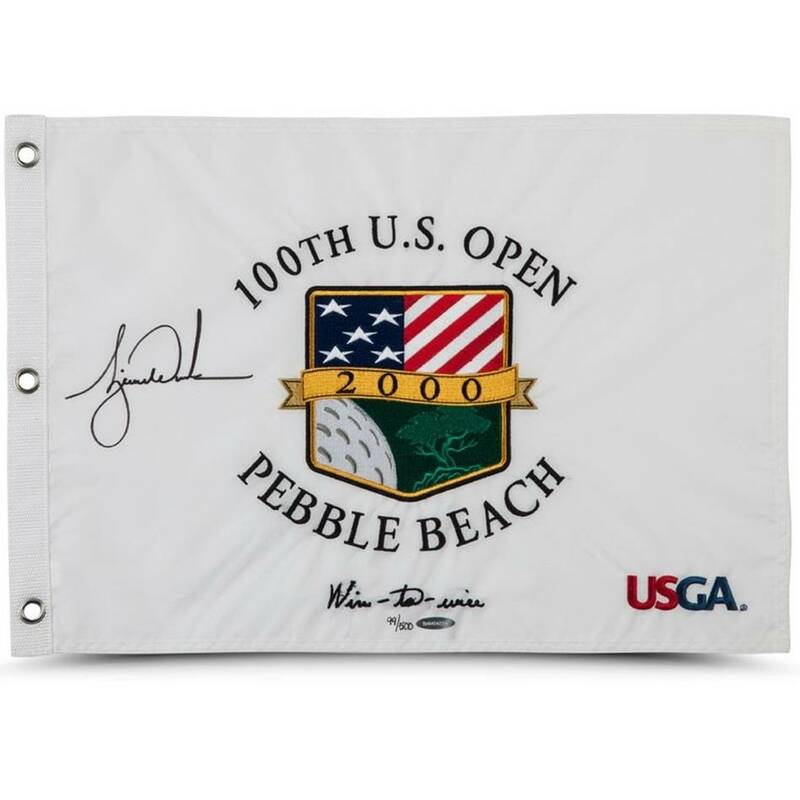 Woods has signed this limited edition (500) 2000 U.S. Open pin flag in black paint pen.